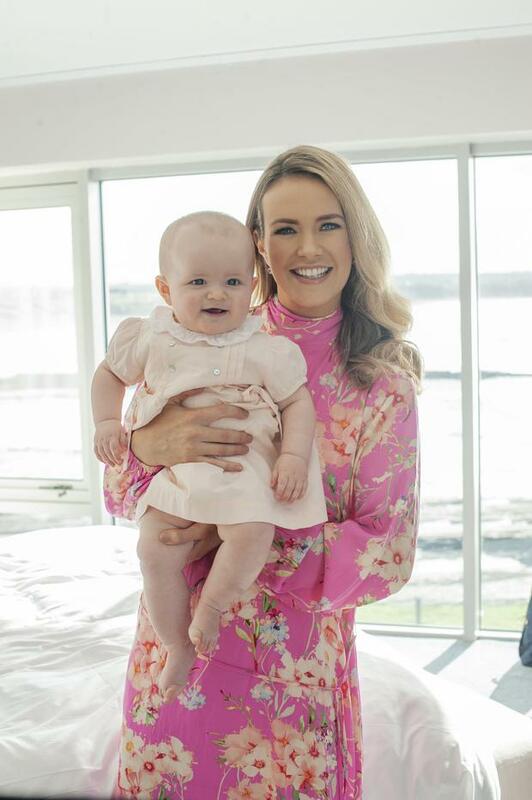 Former RTE star Aoibhín Garrihy is basking in the bliss of new motherhood with her eight-month-old daughter Hanorah. The former Fair City star (31) is enjoying every moment of her new life in Co Clare, near the hotel which John runs, and a life in the country for their baby girl. Last year, when she was seven months pregnant, fitness fanatic Aoibhín was criticised for sharing a picture of her hiking Carrauntoohil and she earnestly defended herself. 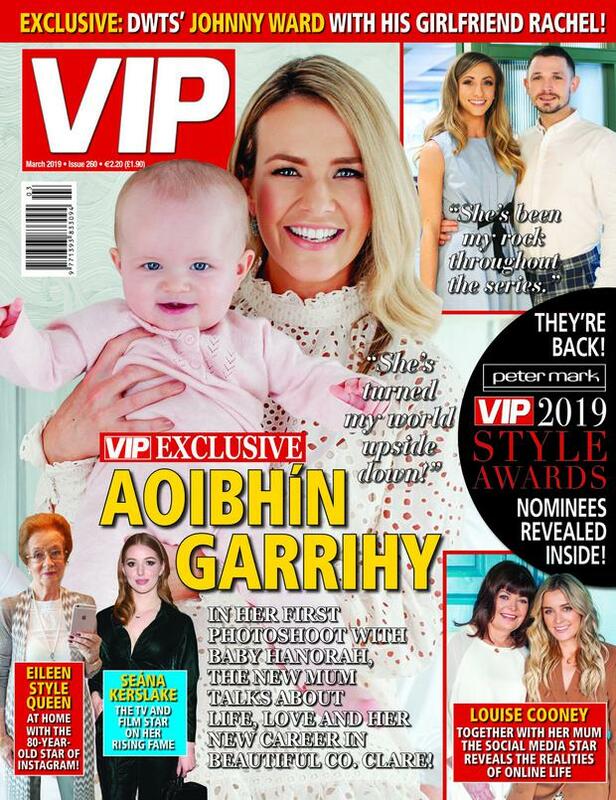 It was the first time anything close to controversial has happened in Aoibhín's public life, but it was the start of 'parent shaming', something which many other well-known mums say they've experienced, especially online. "We're all just winging it, just doing the best we can. And yet parents can be very judgmental. That is one thing that has taken me back. Everyone has an opinion," she told VIP Magazine. "I get asked a lot, how do I juggle it all? The answer is, I don't. Something always has to give. I think this idea of women having it all, maybe it's a figment of our imagination?" She said a move to the country has been a freeing experience for her and despite growing up in Castleknock, she feels as if she's returning home. "Rural life can be isolating when you're used to 'busy'. As someone who loves her nice food and loves shopping and getting out and meeting people, this life is at a slower pace. It's very different to Dublin and it was a bit culture shock initially. But now I can't think of any place I'd rather be," she said. "I did always feel when I got on that Limerick road a sense of calm come over me and I was denying it for a long time. But actually Clare is where I'm happiest." Until 2017, Aoibhín was best known for her role as Nessa Dillon in Fair City and became a coveted guest on social guestlists in Dublin, but she cracked a new level of fame when she came second on the inaugural series of Dancing With The Stars and she now runs a successful wellness roadshow alongside her sisters Ailbhe and Doireann. But it took confidence to take that leap of faith in herself to begin with, to leave behind a steady gig and try something new. "Country life has given me new direction," she said. "We tend to pigeonhole ourselves, 'I'm an actor, I don't do anything else'. And for awhile, I thought if I didn't stick with acting that I had failed. And people would say, 'Are you actually hanging up your boots already?' And I'd say, 'No I'm not'. "And I'm still not. Yes it did seem like a risky career move at the time heading to the west and doing the likes of a reality tv show, all the things you are not meant to do as an 'artiste'. It did bother me for awhile, but not anymore."